Dec 8th Waupoos Women’s Gala! The 3rd Annual Women’s Gala was held on December 8th at Blessed Sacrament Church hall and over 100 women came together for a lovely evening! As in previous years, women were invited to host a table of their friends, providing light snacks for them and a dessert to share with the group. The cost to participants; just $20. The evening included entertainment, silent auction, raffle and vendors offering an opportunity to begin or complete Christmas shopping! Most importantly, it was an opportunity to get together with friends! Participants included past and present farm residents, host families, volunteers and Waupoos supporters as well as some new friends. 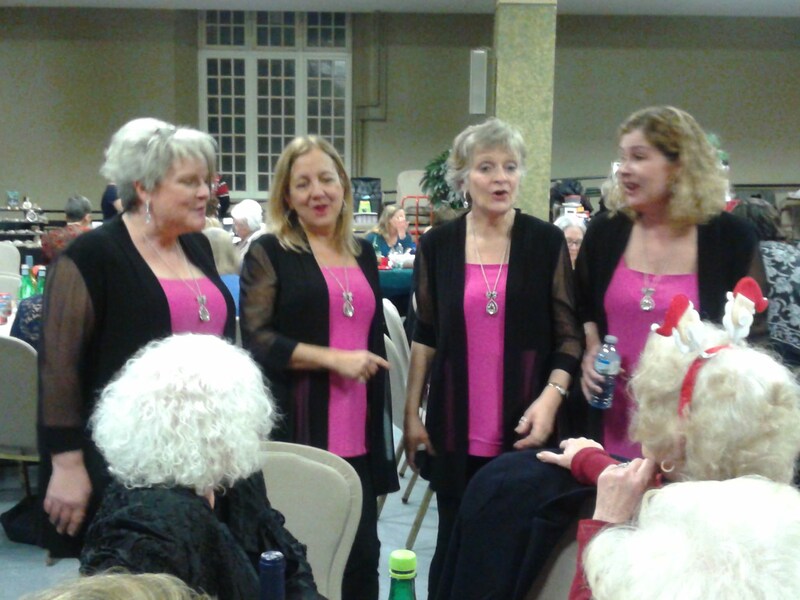 Entertainment was provided by choral group “Key Rings!” and a surprise a flash mob by the McCann family! Thanks to everyone’s efforts and participation, over $4100 was raised to support Waupoos Farm!